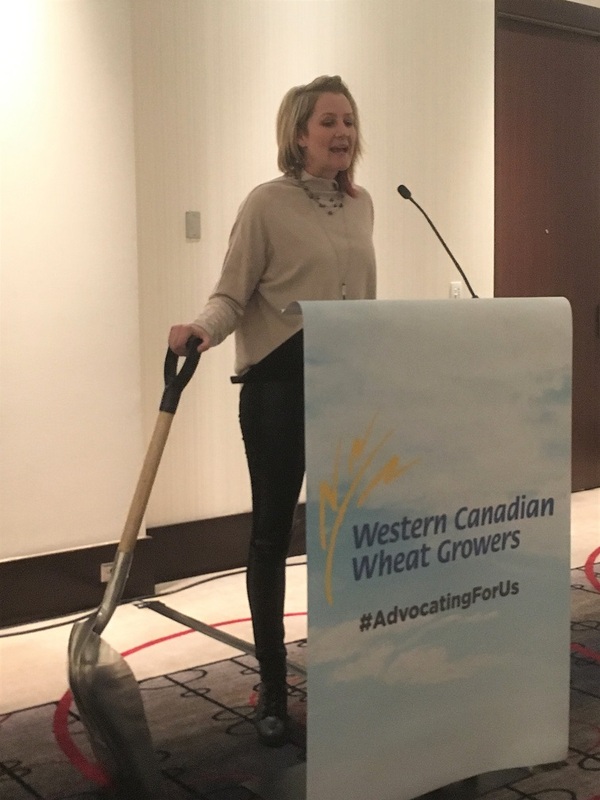 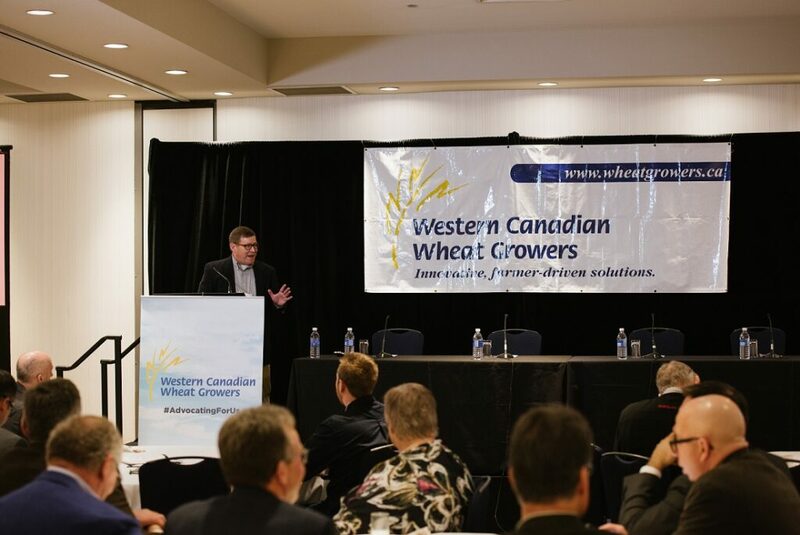 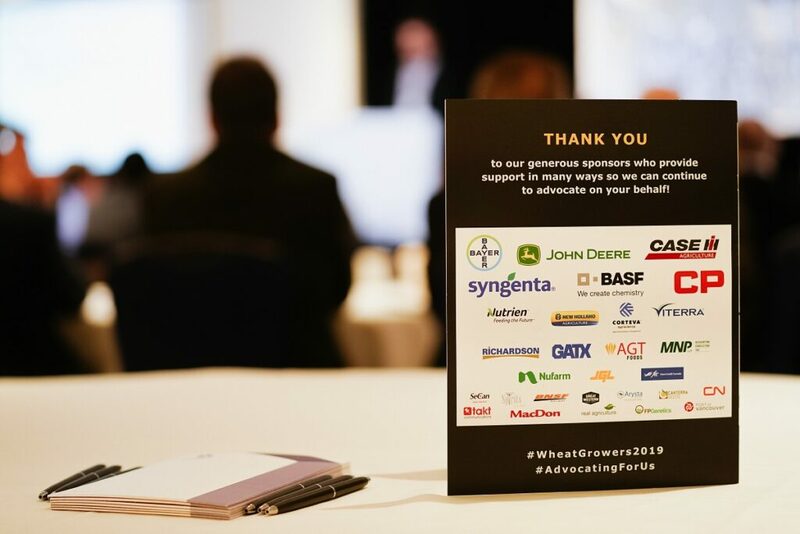 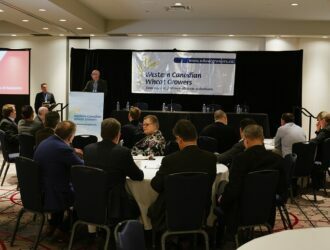 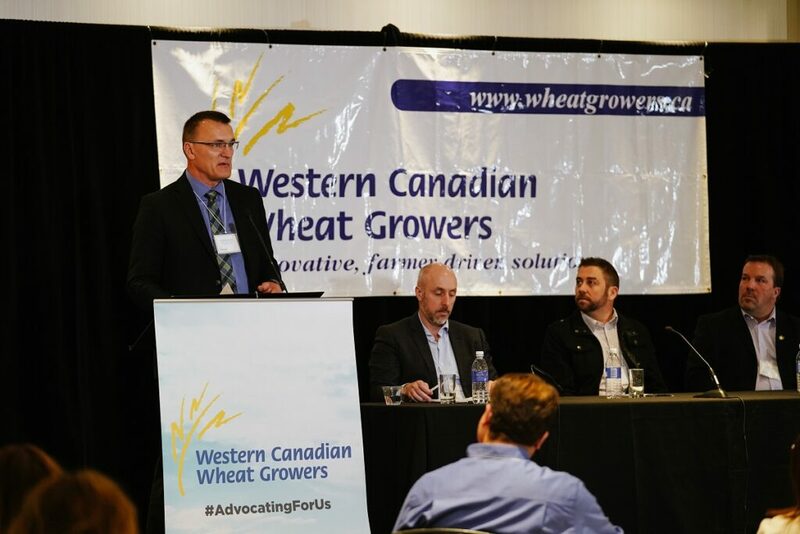 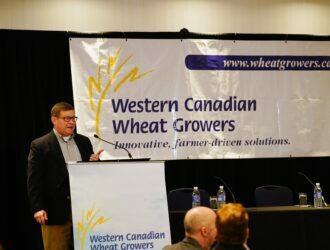 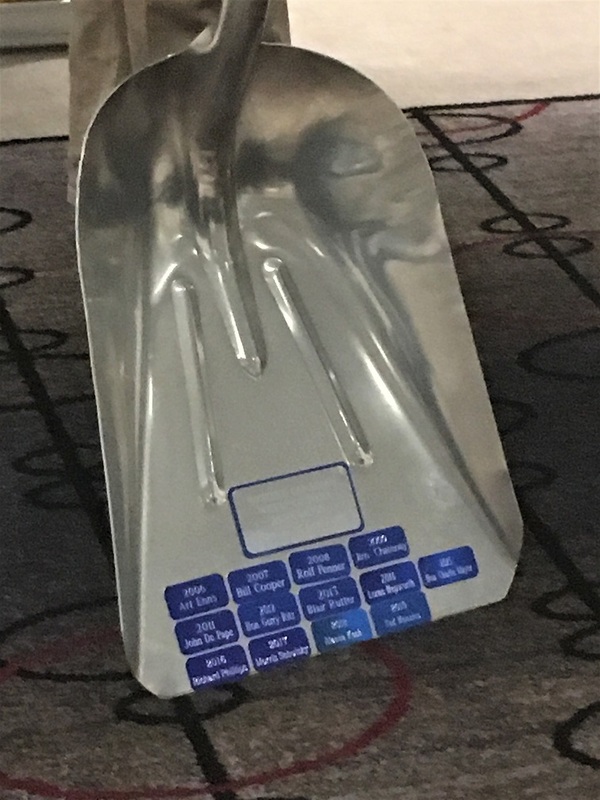 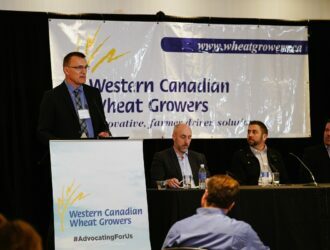 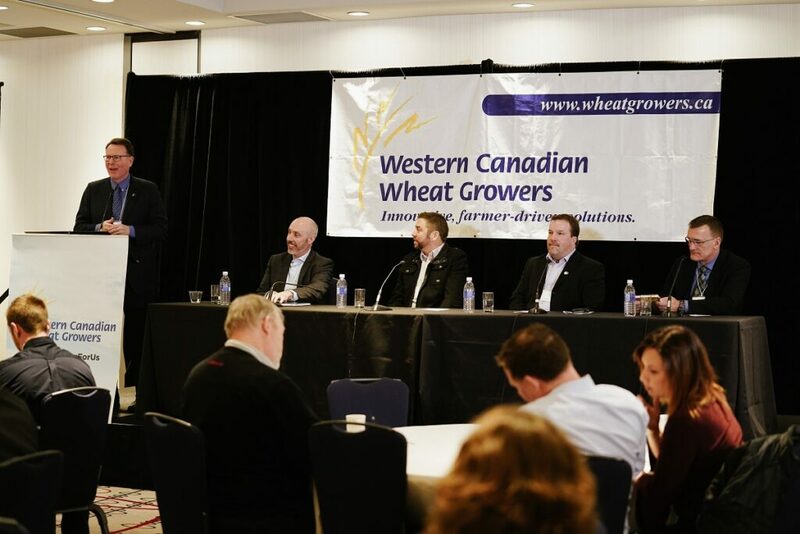 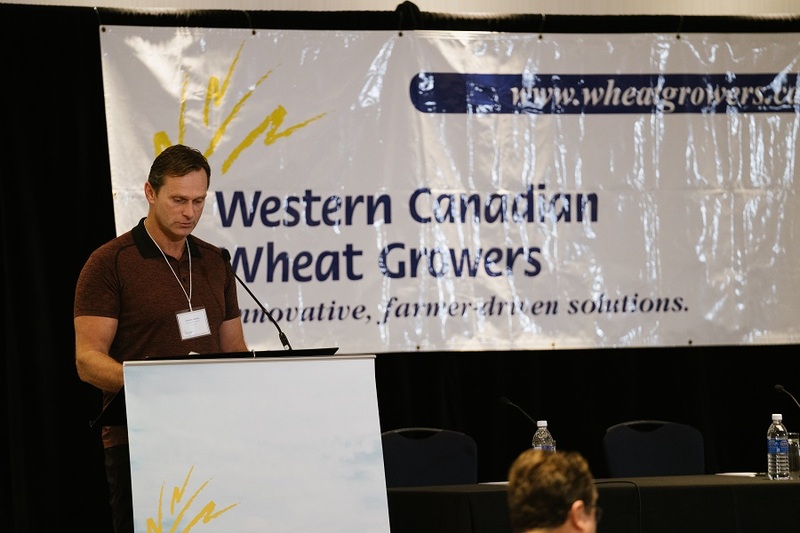 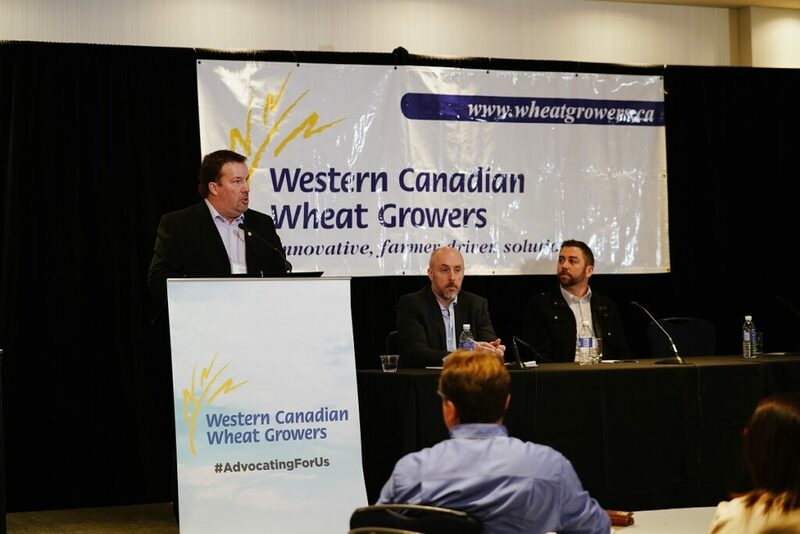 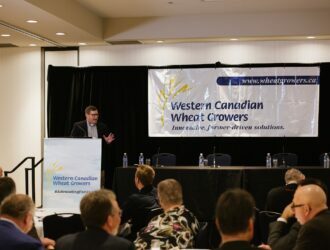 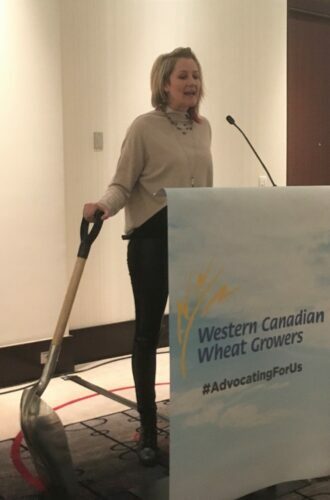 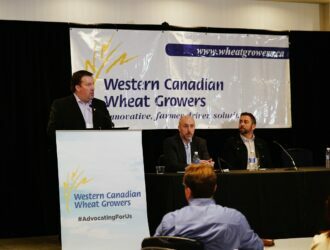 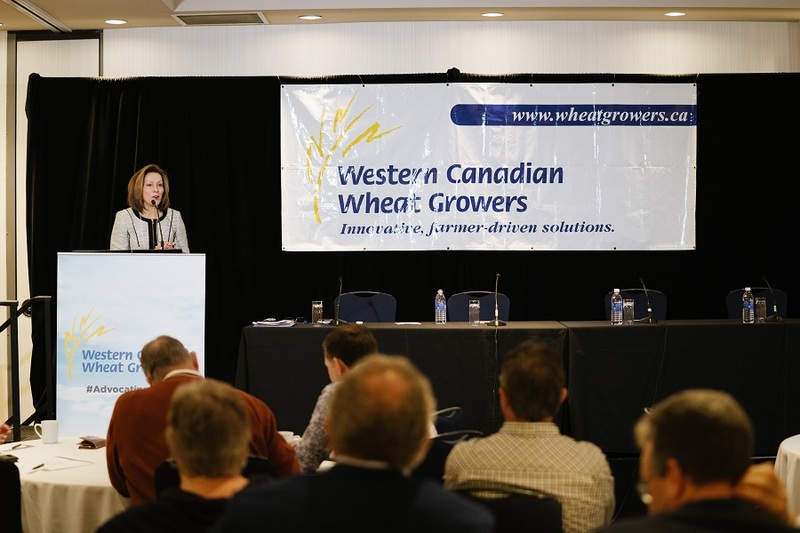 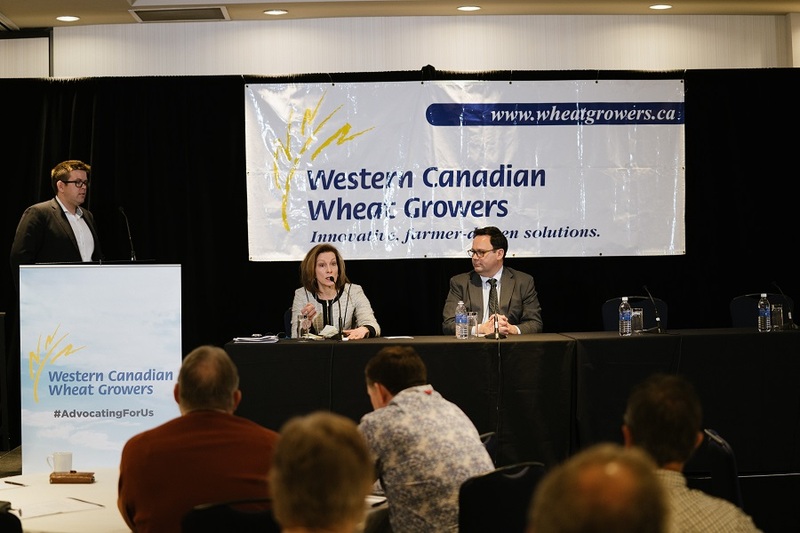 For those of you that were able to join us in Vancouver for the 49th Annual Wheat Growers Convention, thank you, and for those who couldn’t, we missed you! 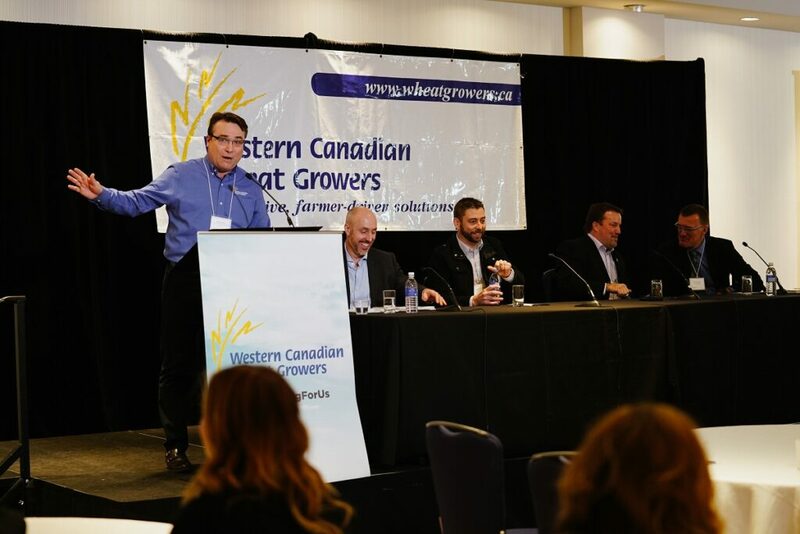 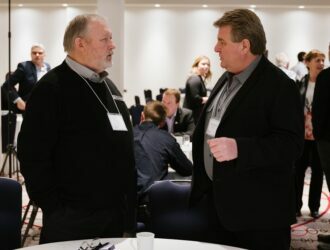 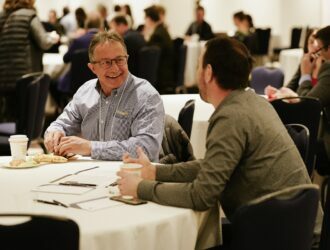 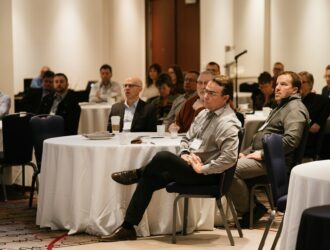 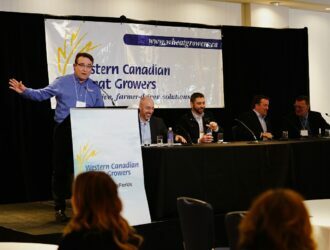 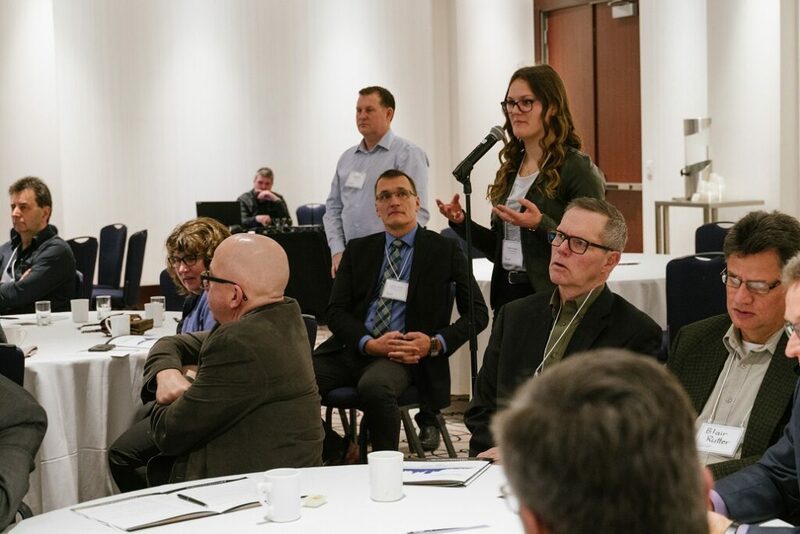 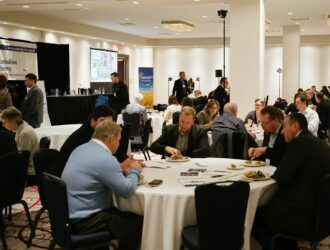 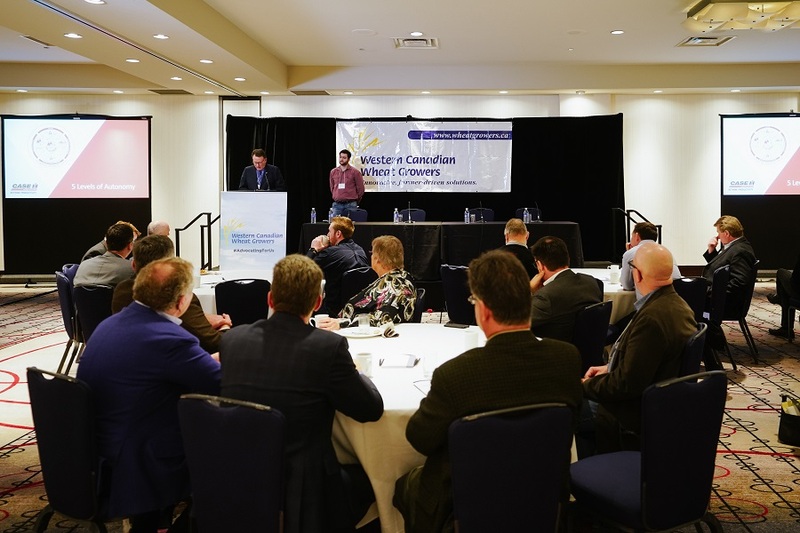 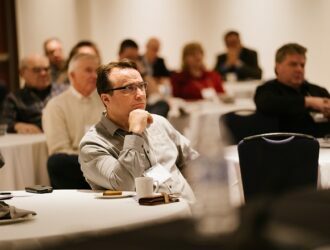 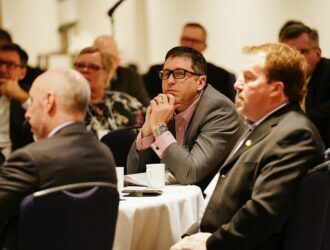 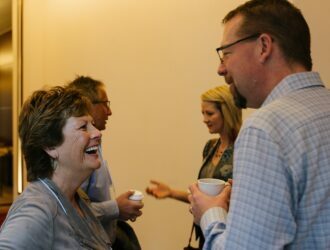 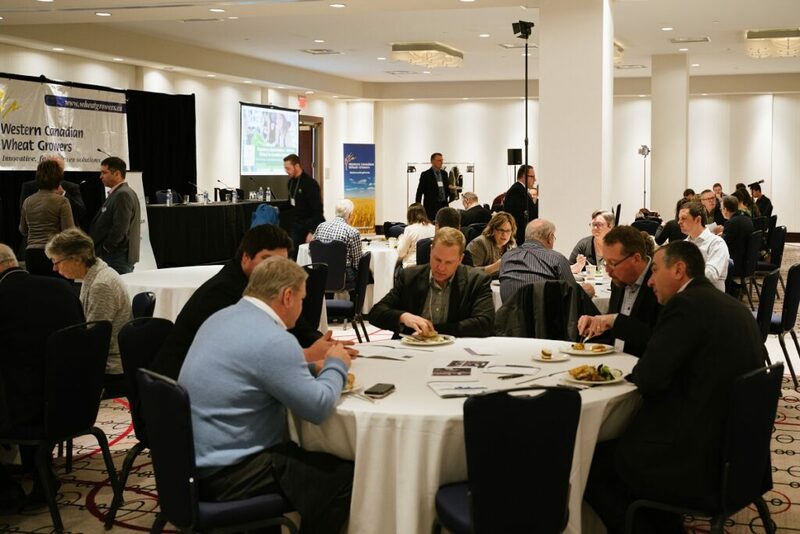 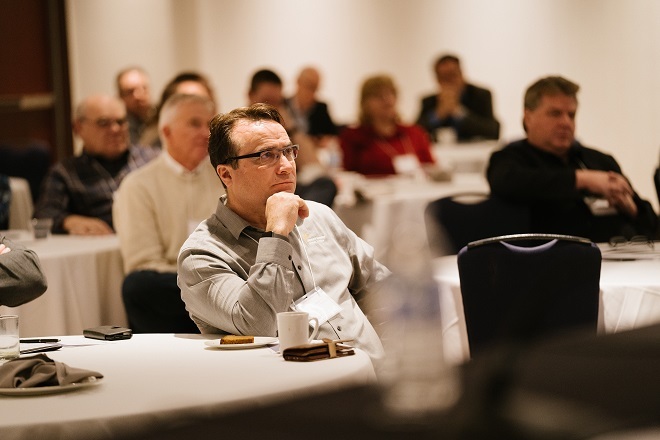 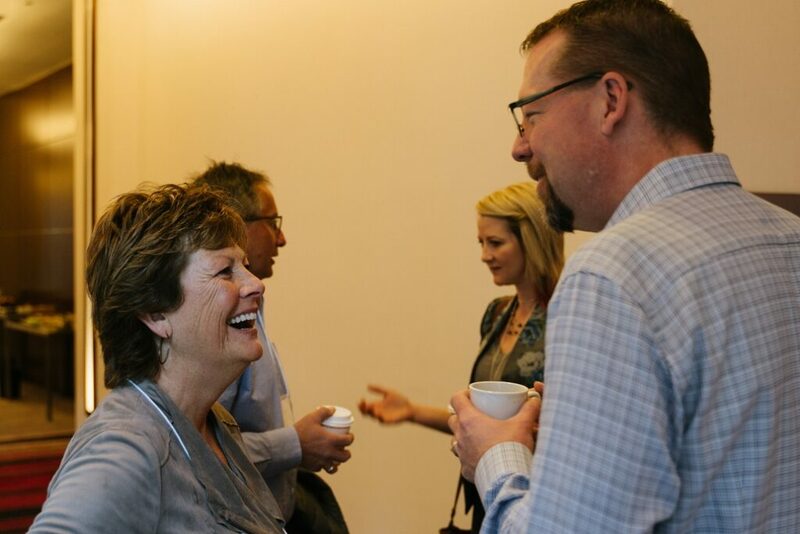 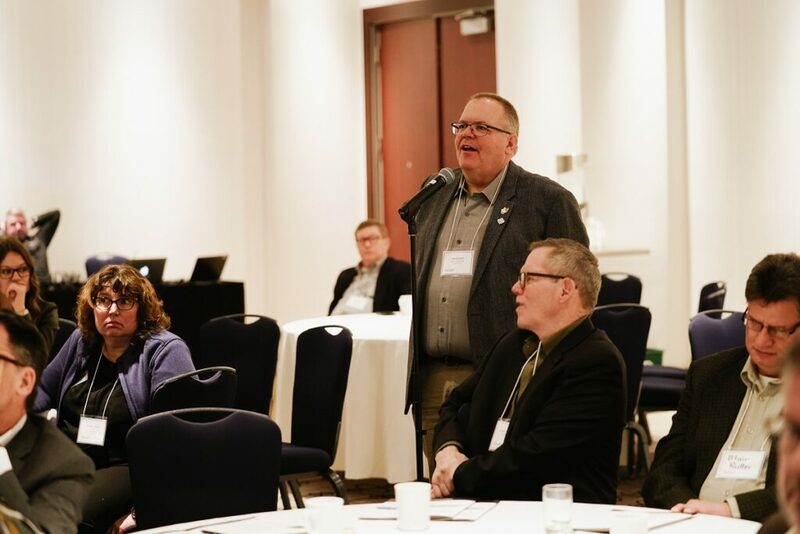 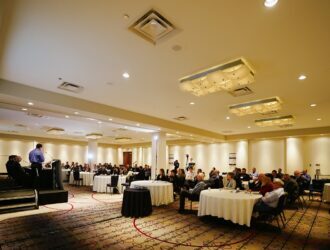 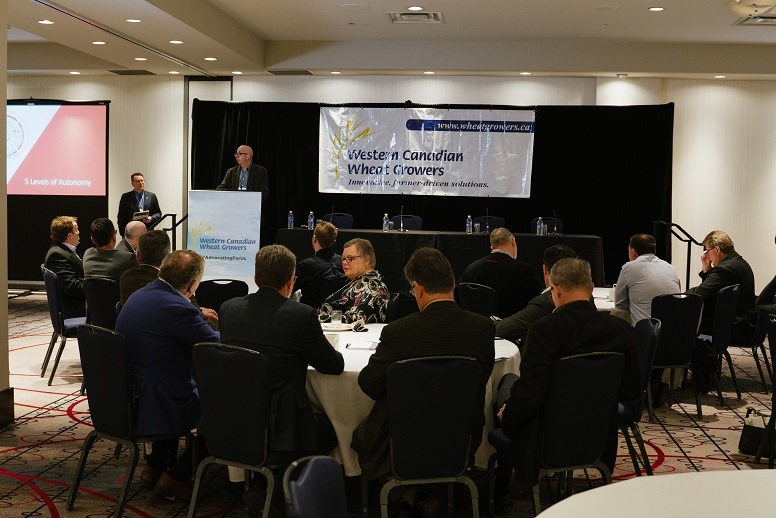 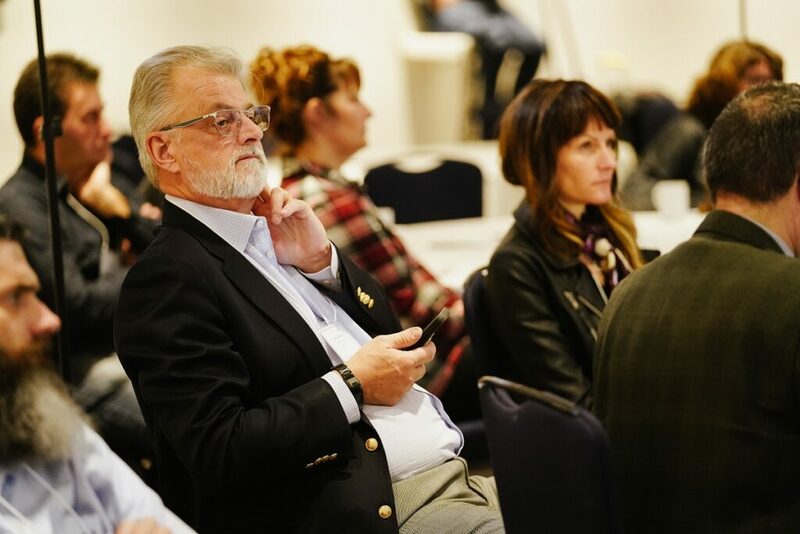 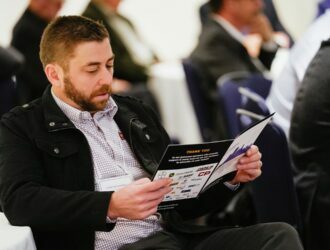 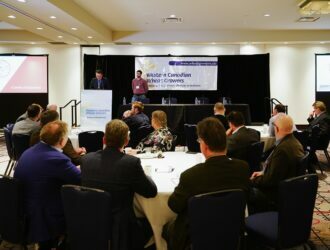 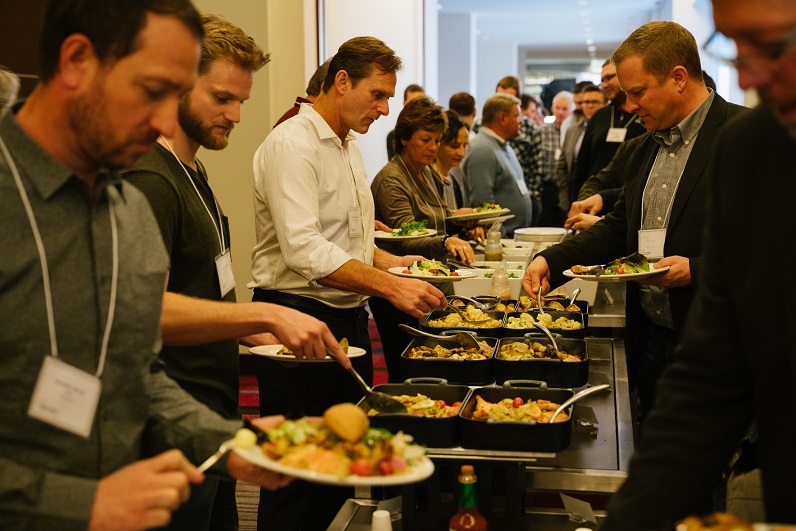 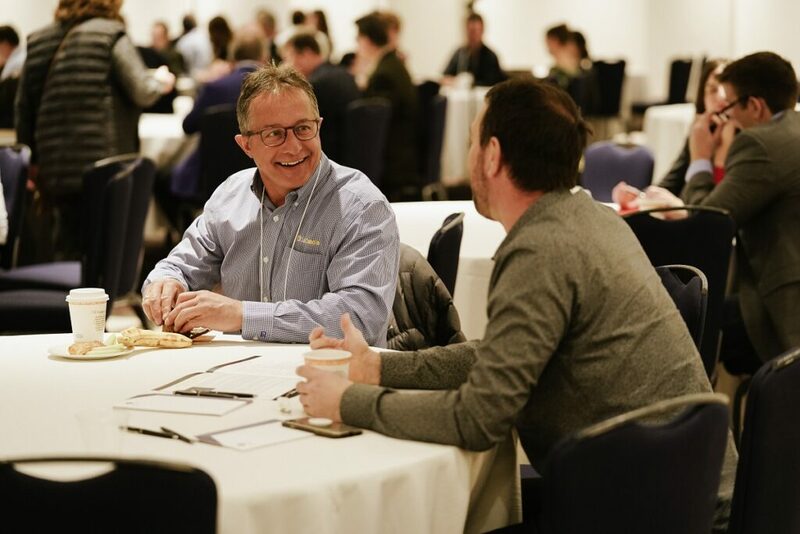 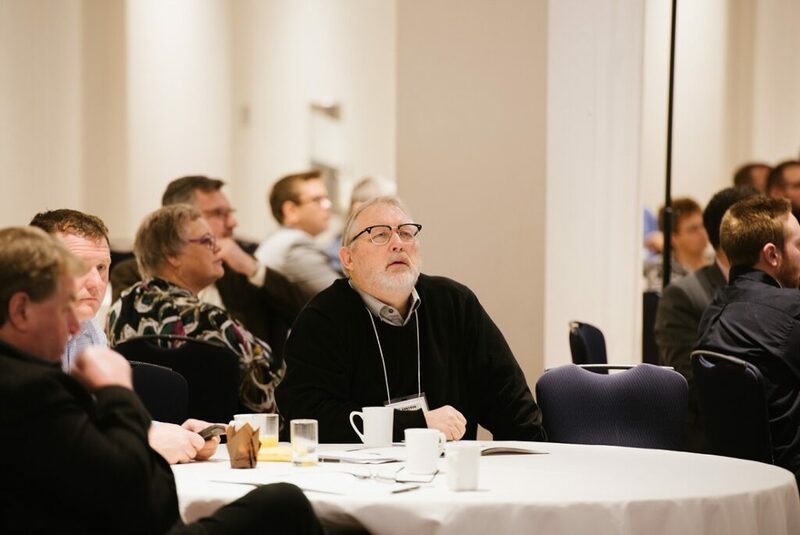 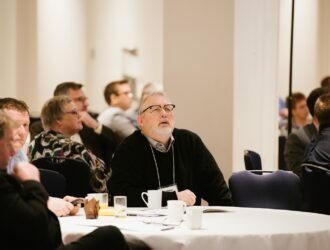 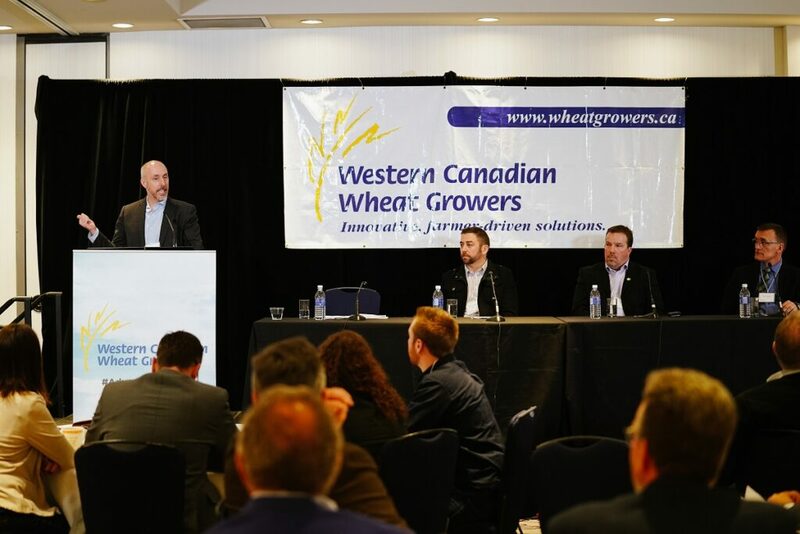 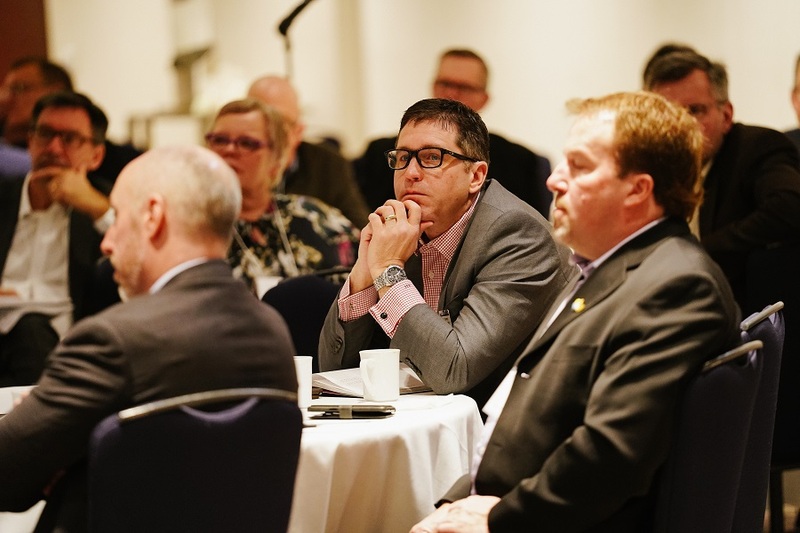 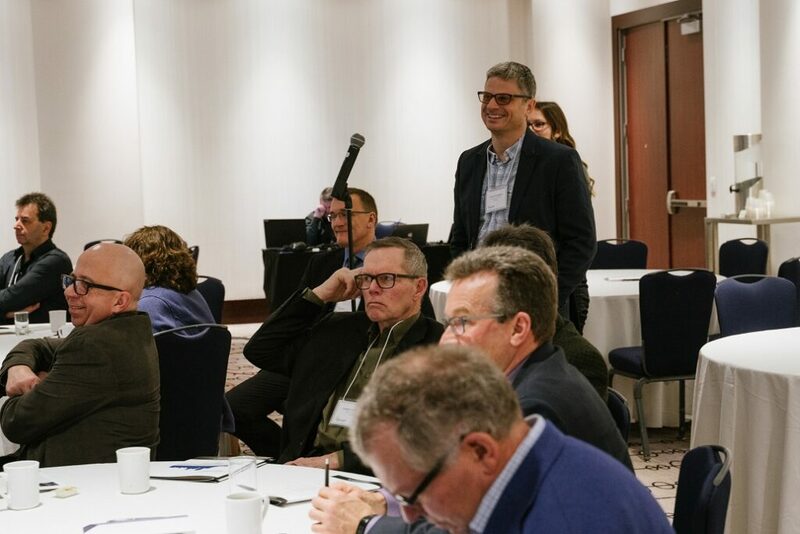 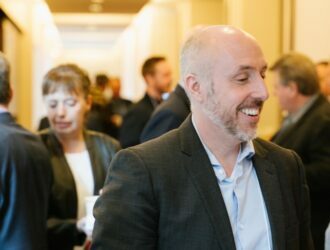 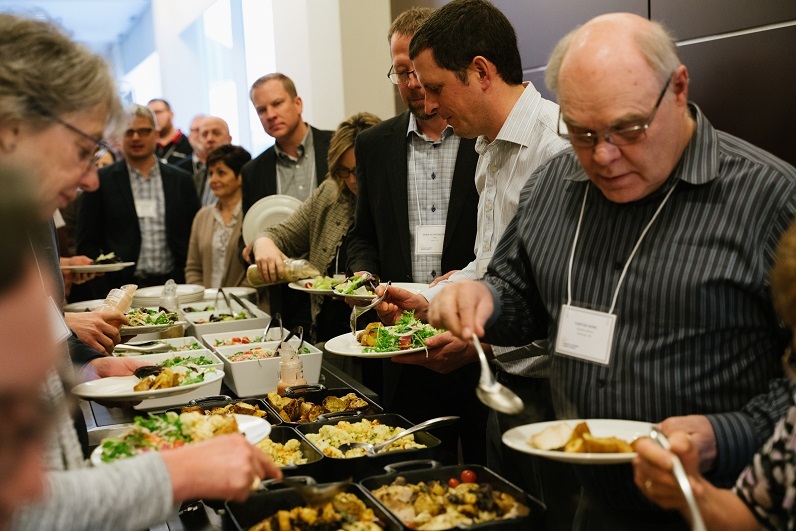 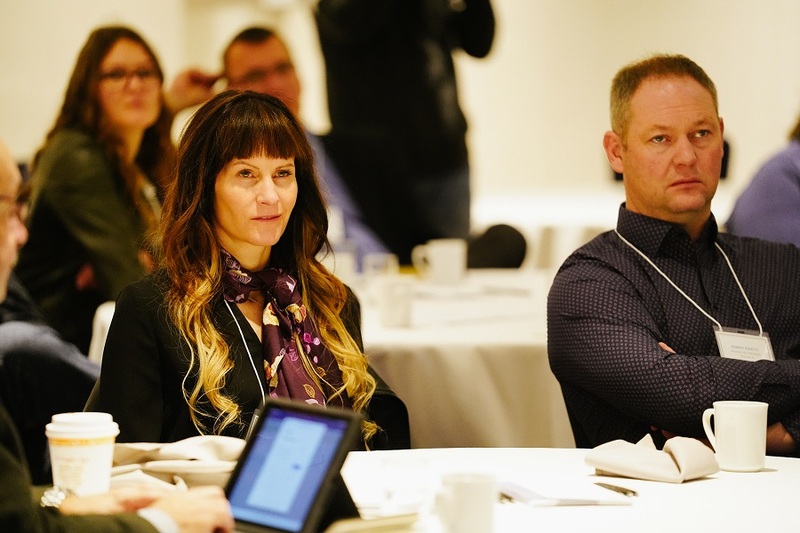 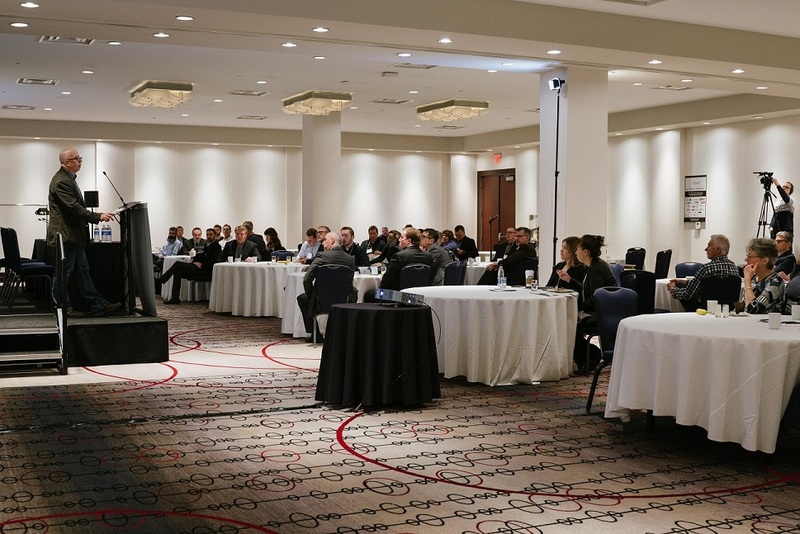 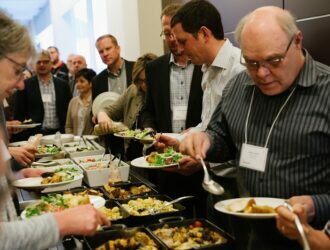 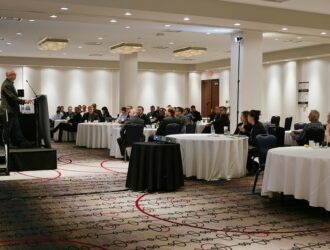 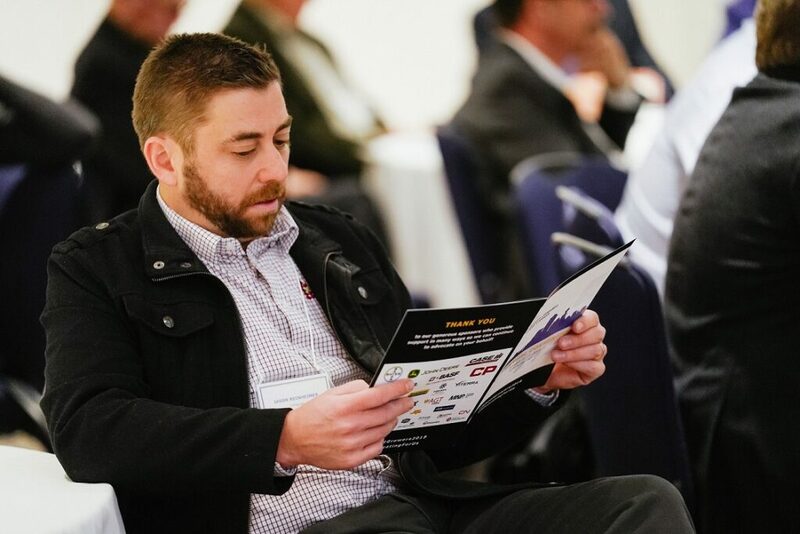 Not only was the weather better than anywhere in the prairies, the convention was a great opportunity to network with fellow growers and participate in some great presentations from a wide array of expert speakers. 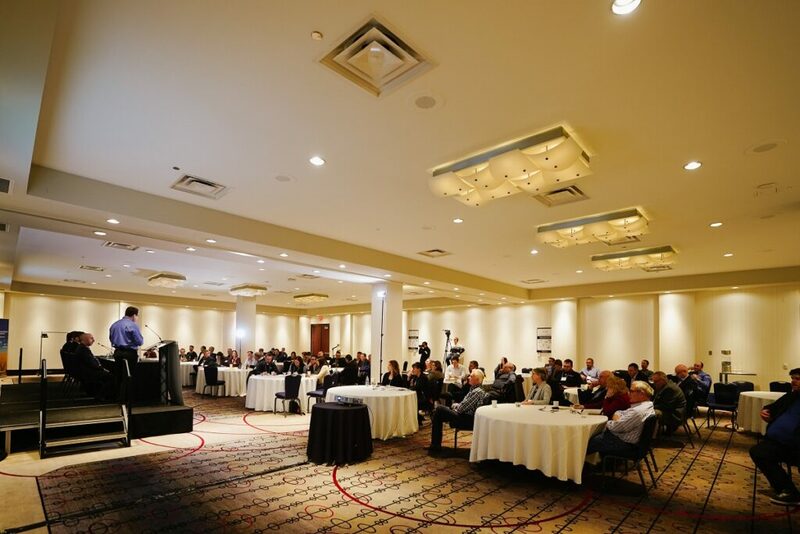 We had a full agenda centered around the theme “Technology, Trade and Transportation”. 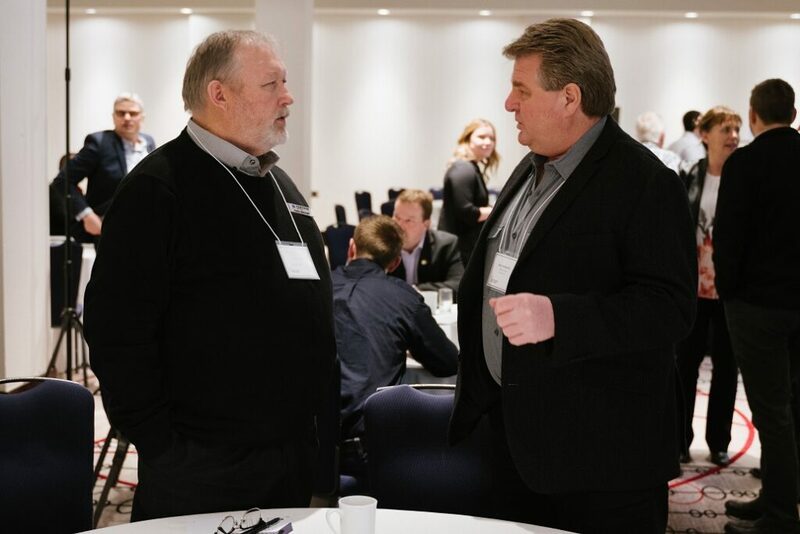 The issues of transportation and trade go hand in hand. 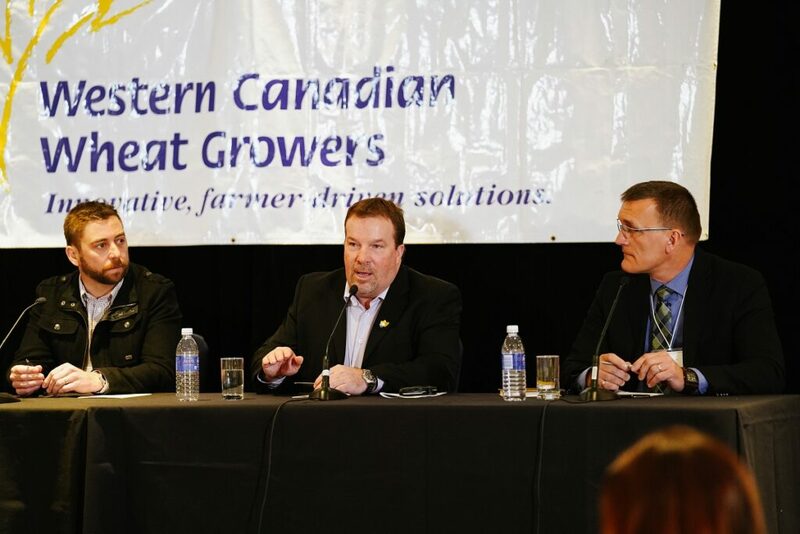 If we cannot move our products to market, then trade agreements will not work in our favour. 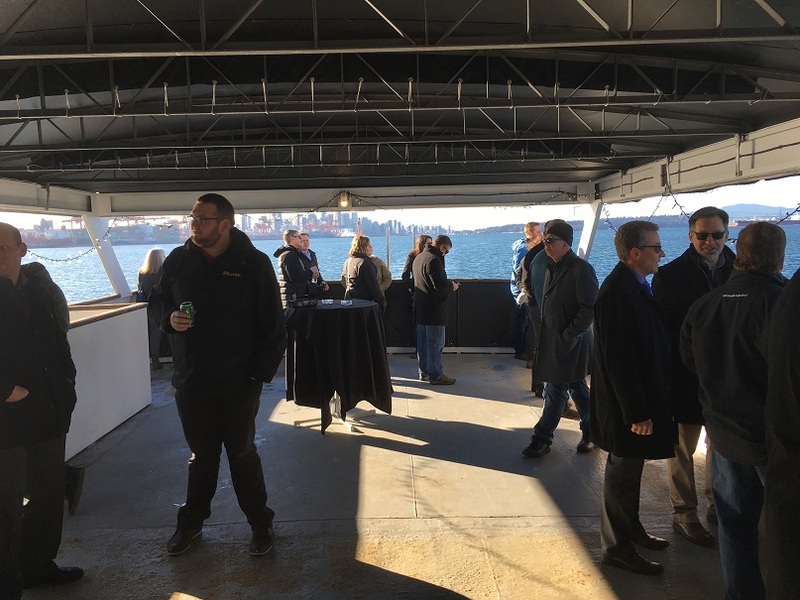 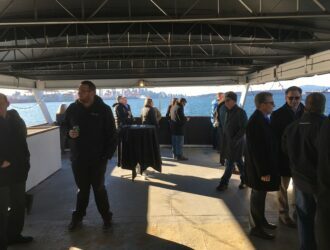 Wednesday’s feature session was the Port of Vancouver’s harbour tour. 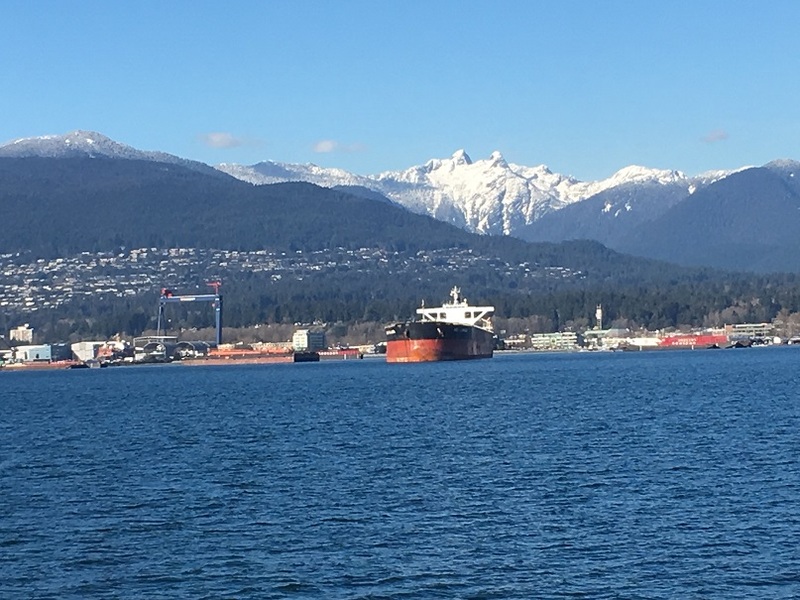 While the sun was out and we had the opportunity to be on a beautiful boat on Vancouver Harbour, the real impact was to observe the terminals, docks and refineries including the Viterra, Richardson, AGT and G3 grain terminals. 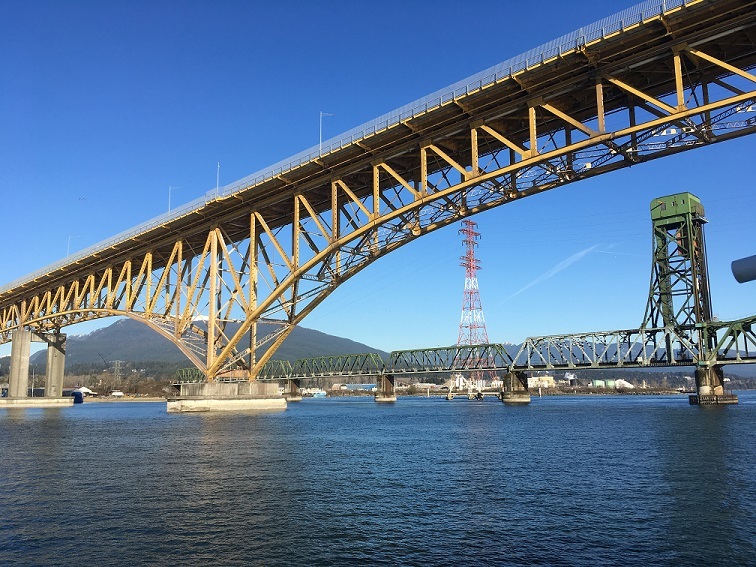 The sea level view of the Lions Gate and Iron Workers Memorial (Second Narrows) Bridge as well as the railway bridge connecting to the north shore truly gave me a different perspective on how our grain moves to overseas markets. 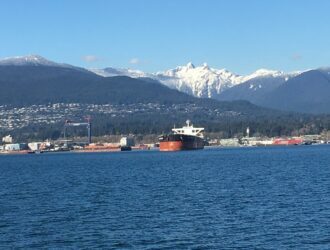 The size, space, ships and equipment are massive. 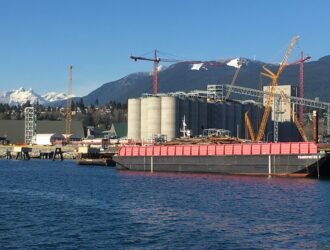 The logistics required to safely and efficiently run each terminal, ship and the Port of Vancouver overall requires great attention to detail. 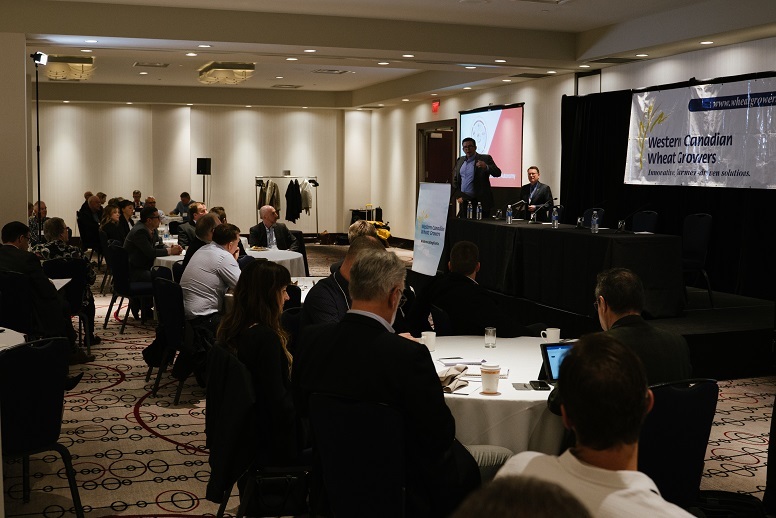 While the opportunities are great, significant challenges continue operating one of North America’s busiest ports amidst a large urban area. 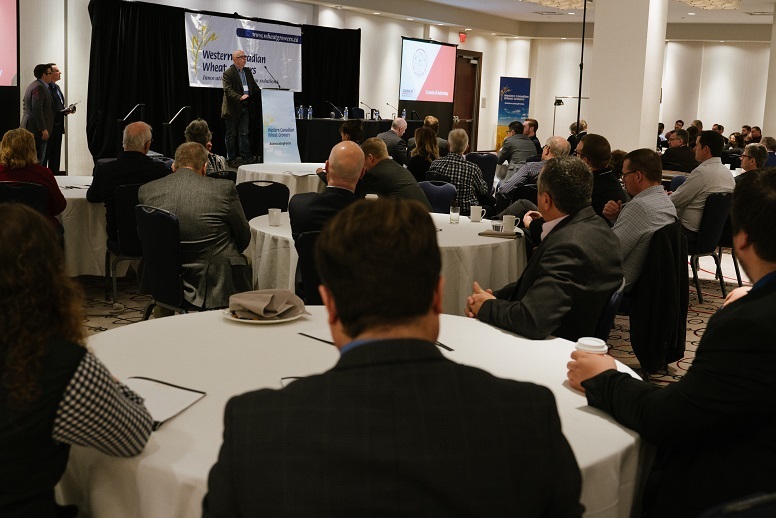 There are a lot of moving parts to our transportation system and much work remains. 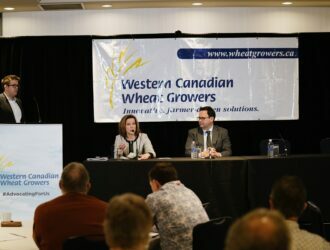 This tour was complimented by two sessions on Thursday morning. 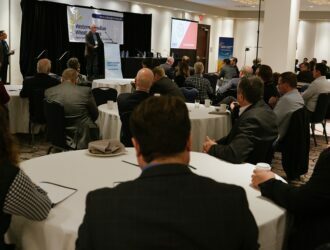 One session brought us updates from both the Port of Vancouver and CP Rail. Together CP Rail, the Port of Vancouver and the Port tenants are investing over $5 billion in the next number of years – much of it already in place. 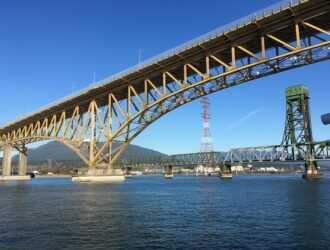 These improvements deal with vehicle and rail traffic patterns, capacity, rail cars and movement. 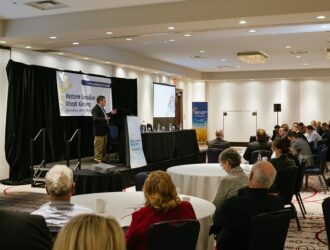 In the second session, which was only available on-site, the Hon. 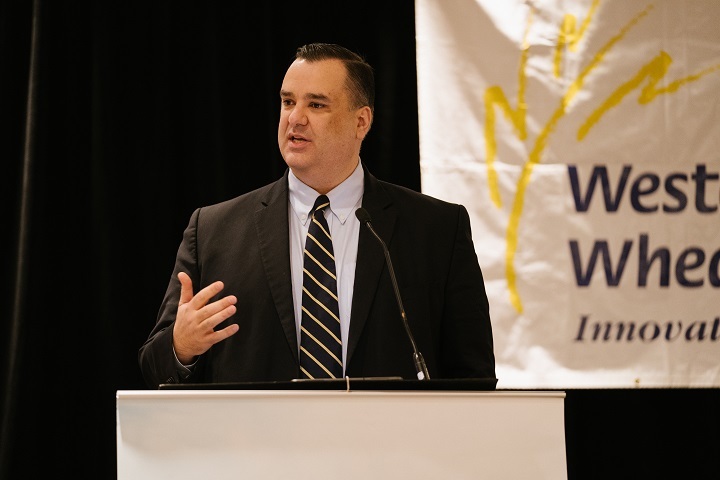 James Moore presented an in-depth speech depicting the rise of populism in the United States that led to President Trump’s election and the impact on domestic and international trade. 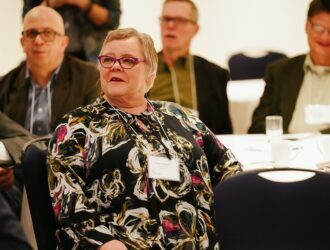 The highlights focused on the change from a left vs right political split to a horizontal split of “have’s”, “have nots” and the squeezed middle class. 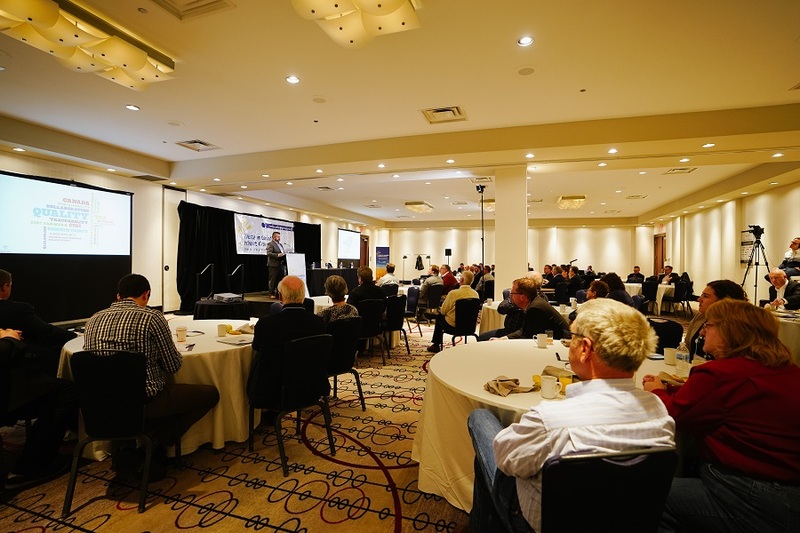 This culminated in an overturn of the traditional ballot box results in the US voting and a focus on domestic needs. 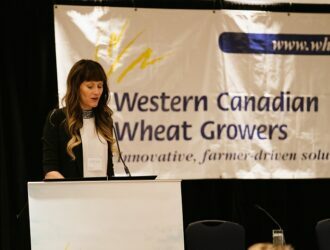 A very enlightening speech. 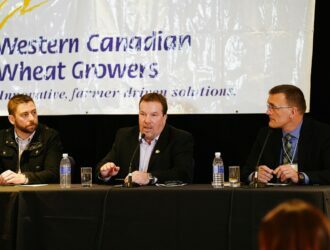 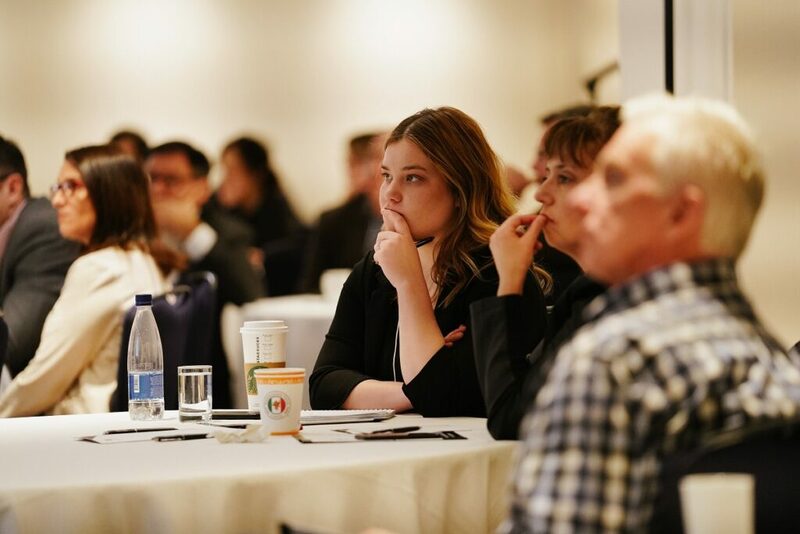 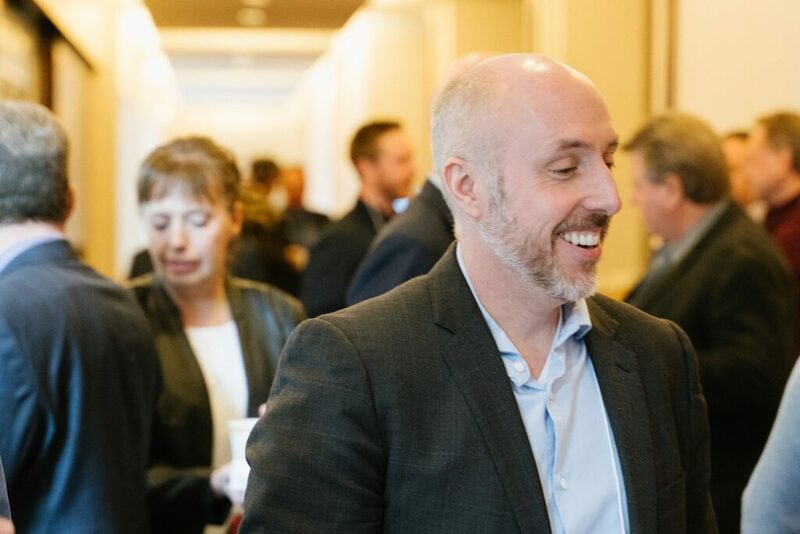 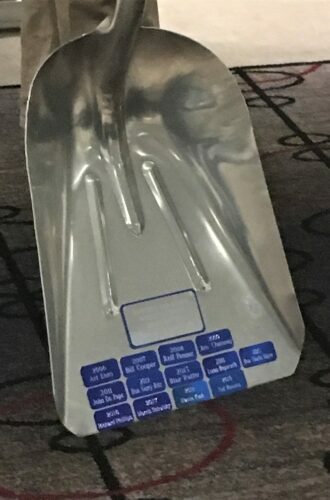 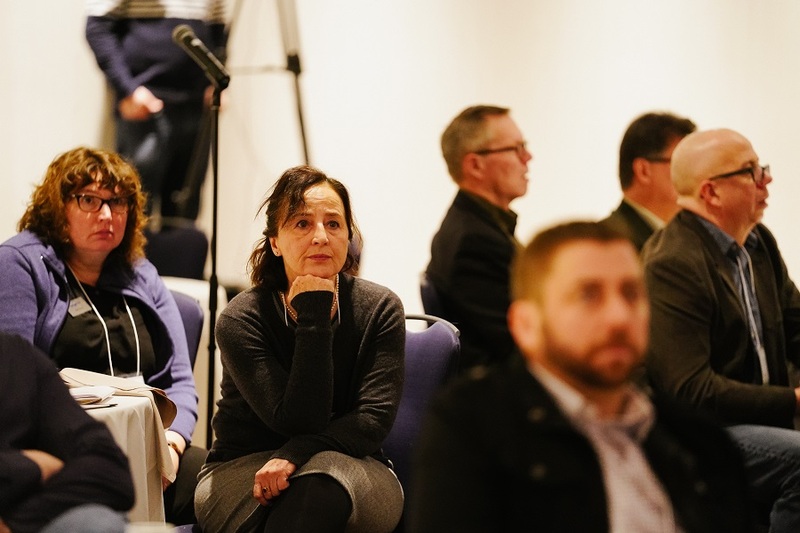 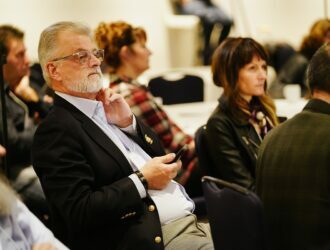 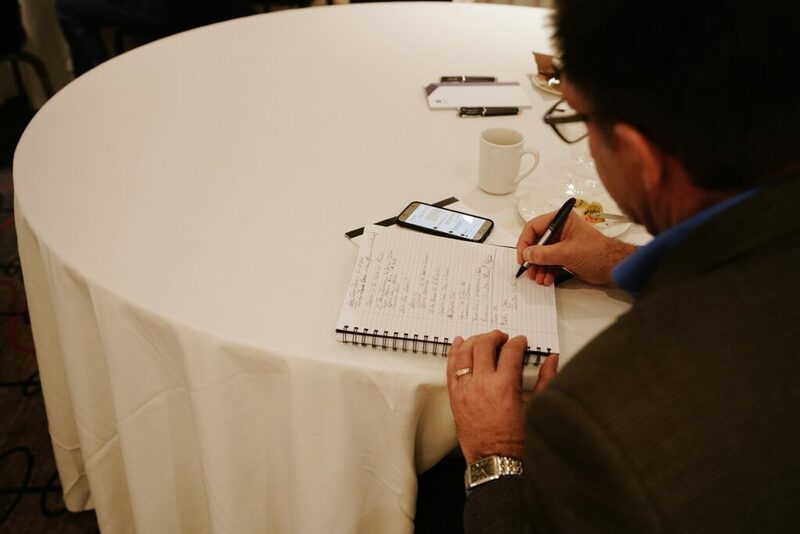 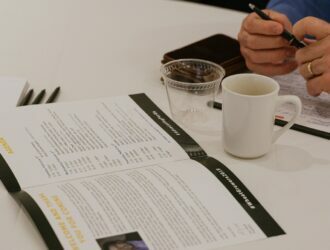 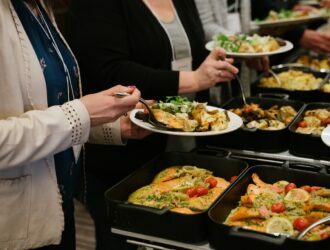 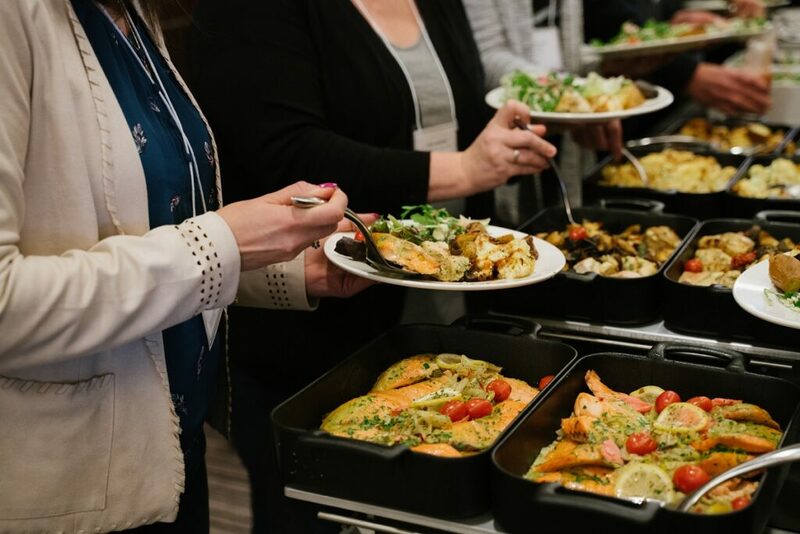 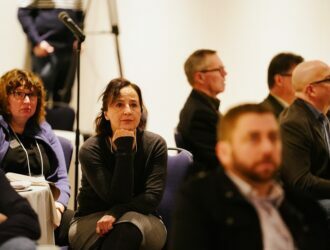 Many people came away from the 2019 convention telling us that it was one of the best speaker line-ups that we have had in some time. 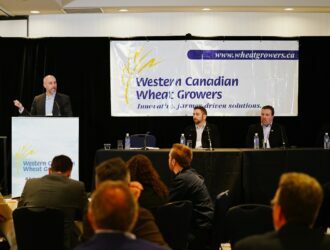 If you missed it, you can view most of the sessions below. 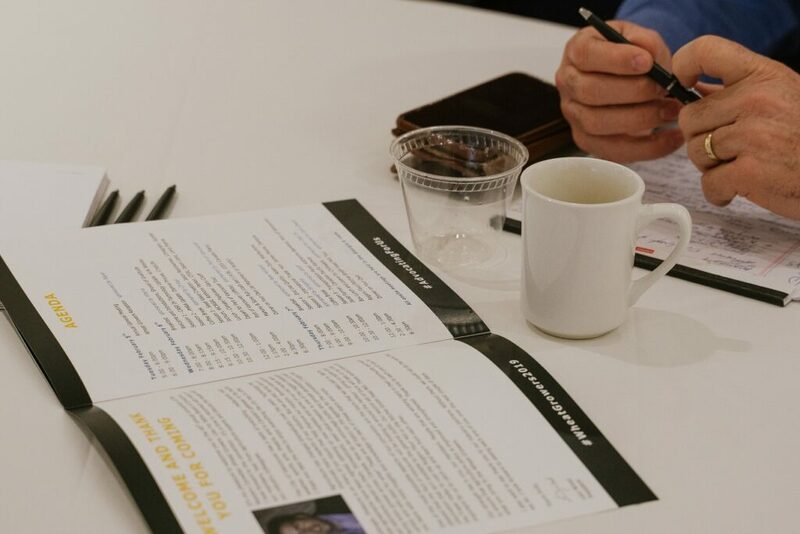 Better yet, join us in 2020 as we celebrate our 50th Anniversary! 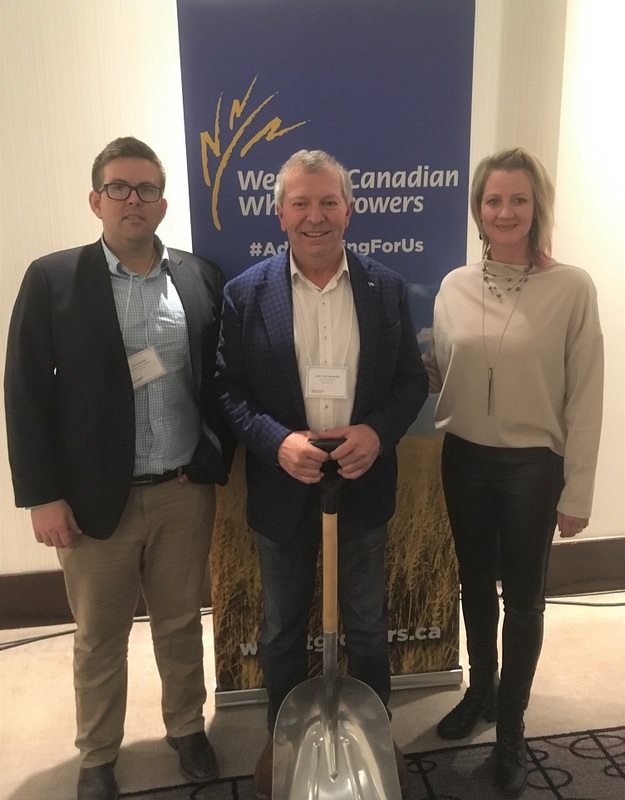 Congratulations to this year's recipient - Ted Menzies! 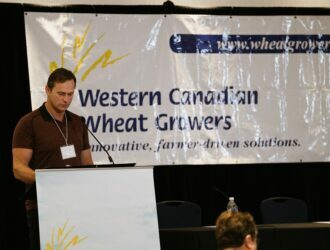 Ted has made a tremendous contribution to our industry and has been instrumental to the success of the Wheat Growers. 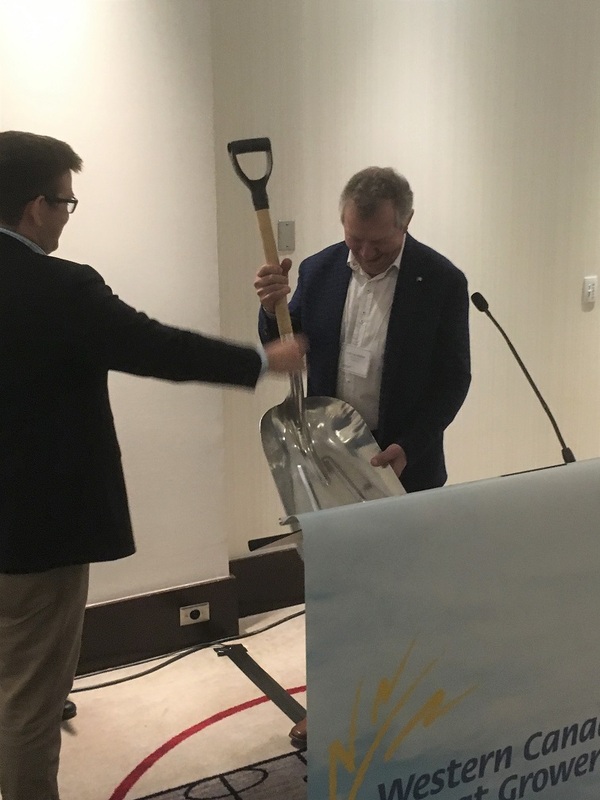 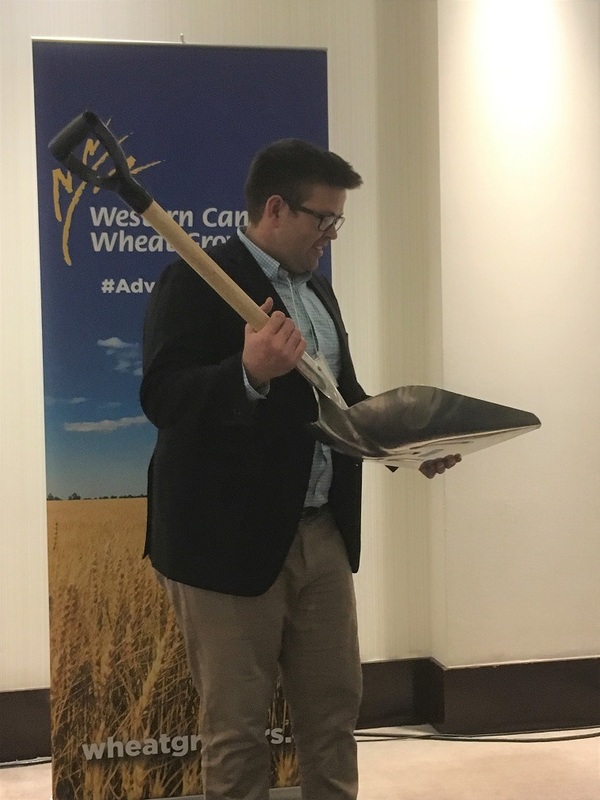 He's had a long and illustrious career in the grain industry and the political arena. 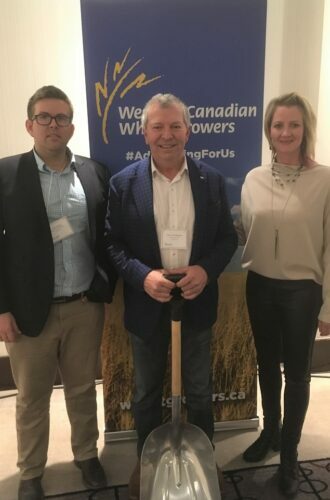 Ted and his family farmed near Claresholm, Alberta until 2003. 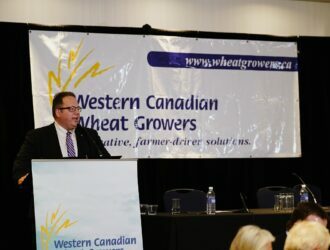 He first became a director of the WG’s in 1998 and then fought his way into the role as President in 2000. 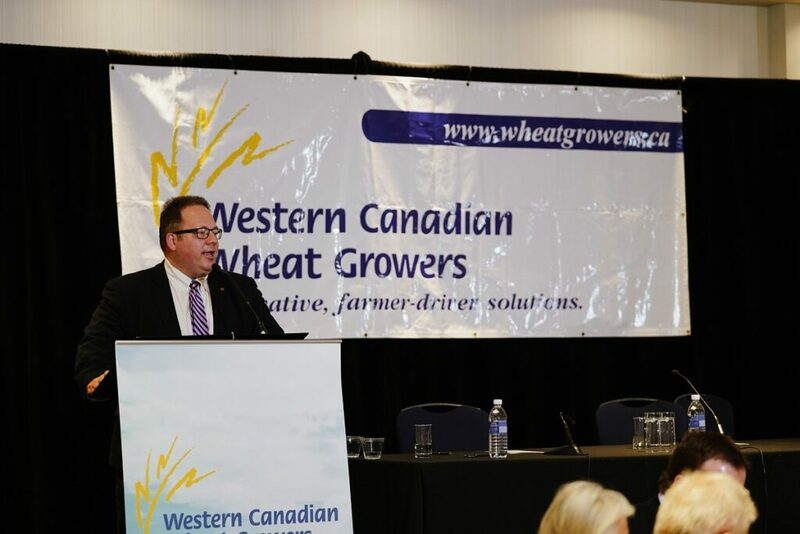 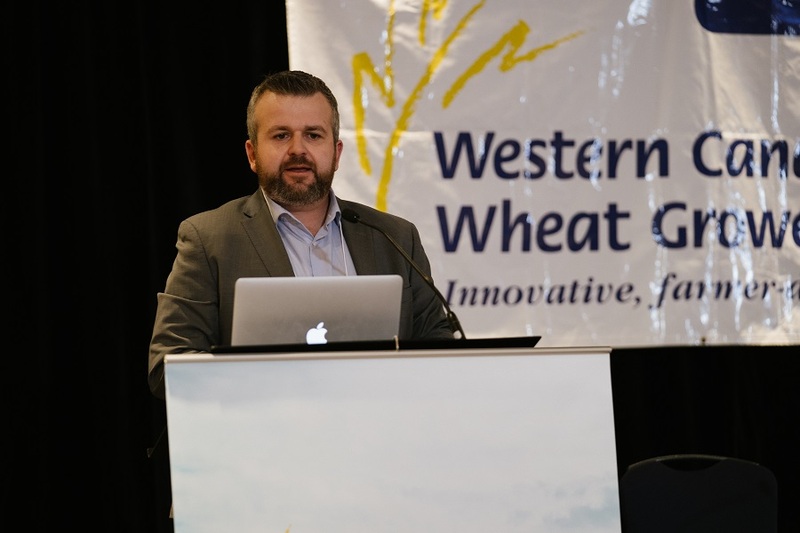 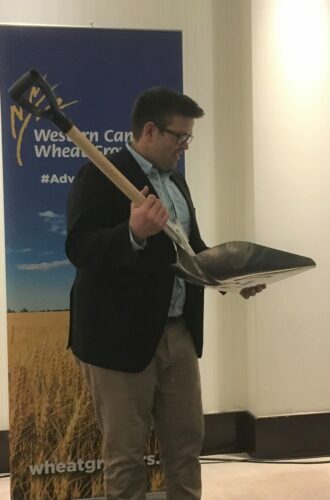 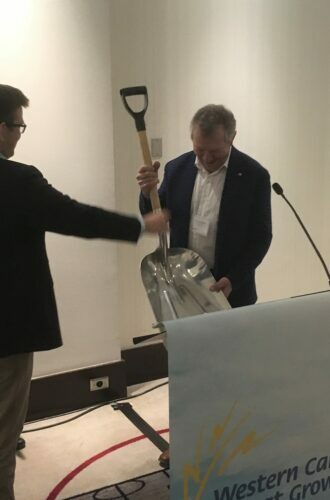 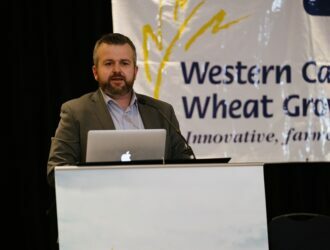 Ted holds the title as the first Wheat Grower President from Alberta. 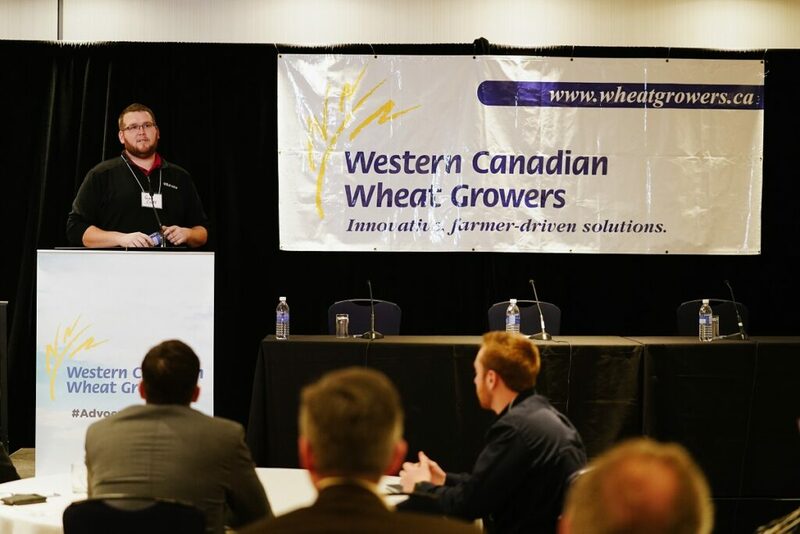 Case IH representative Kirk Wesley updates the audience on what they can expect for self-driving equipment, more efficient seeding/harvesting and how Artificial Intelligence will impact their farm. 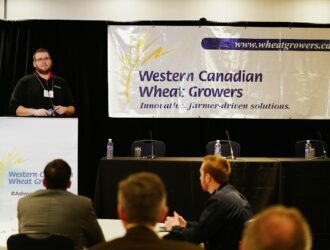 Case IH presentation Q & A. 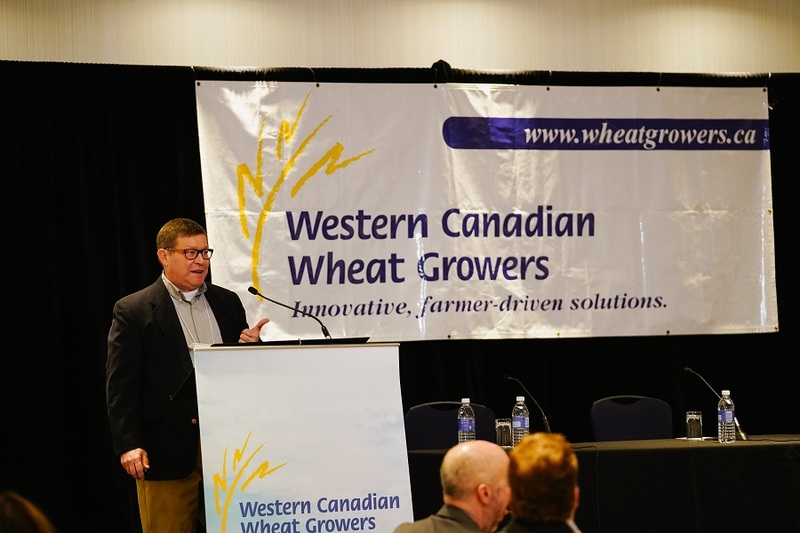 Climate Fieldview representative Gary Csoff discusses the impact that data collection will have on your farm. 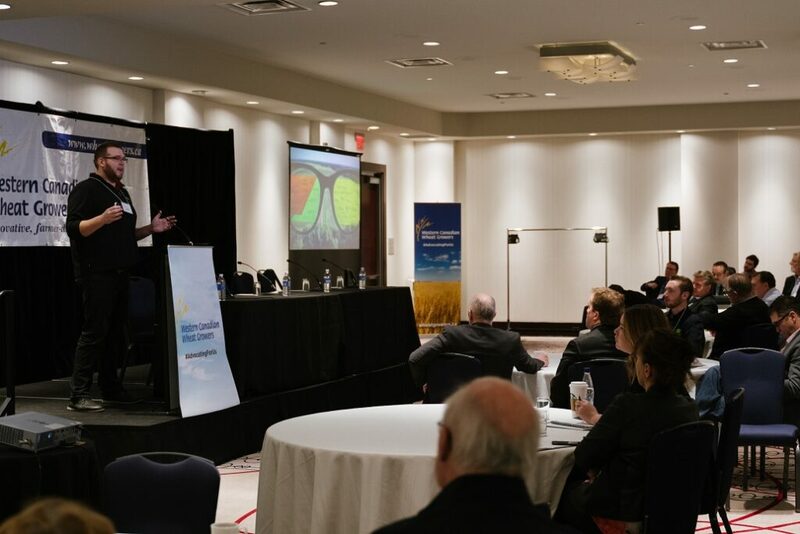 Better use of weather, seeding, irrigation, harvest returns and inputs will ensure that farmers can make better decisions year over year. 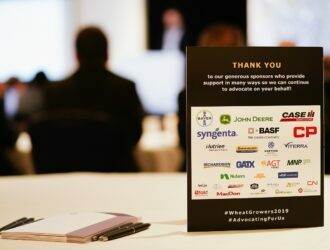 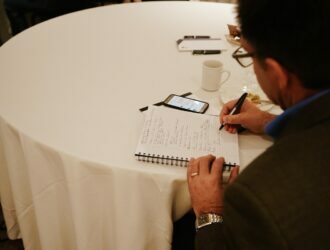 Climate Fieldview presentation Q & A. 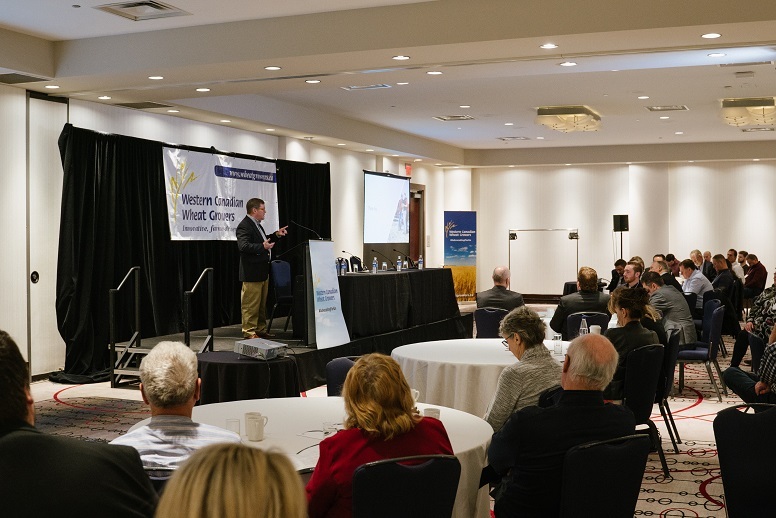 Seed value creation is one of the biggest questions that grain farmers are currently facing. 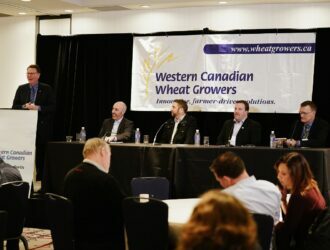 This panel includes representatives from industry, government and two farmers with different points of view. 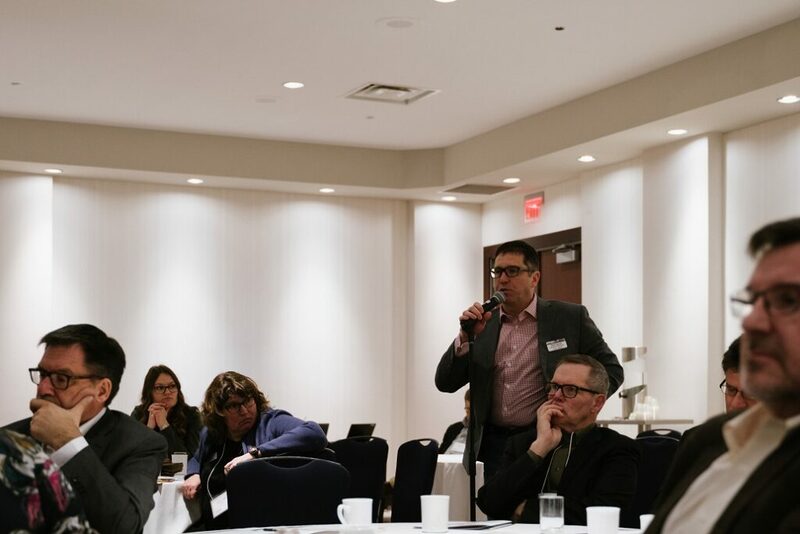 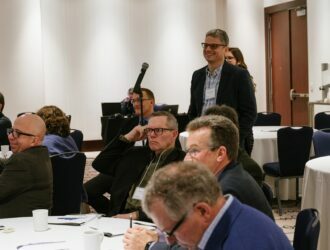 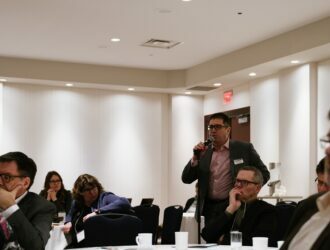 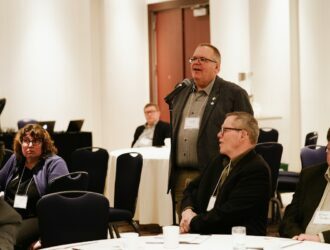 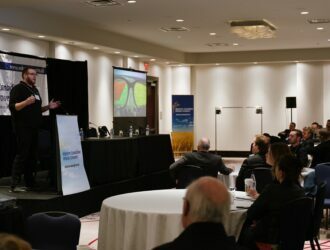 Seed value creation presentation Q & A.
Dennis Prouse, CropLife VP, brings an update regarding current PMRA decisions and possible outcomes impacting farmers. 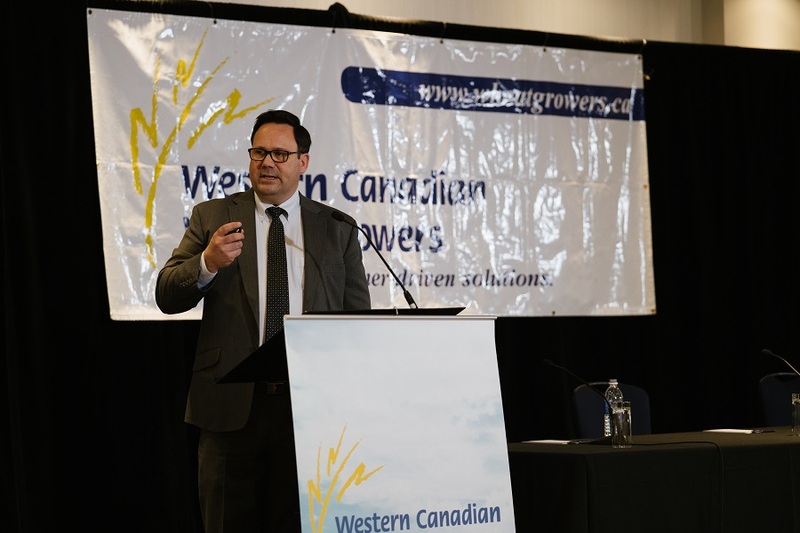 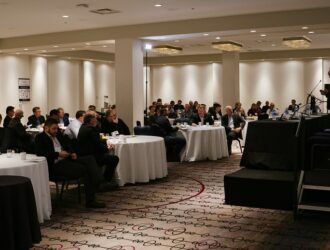 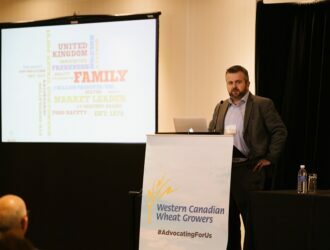 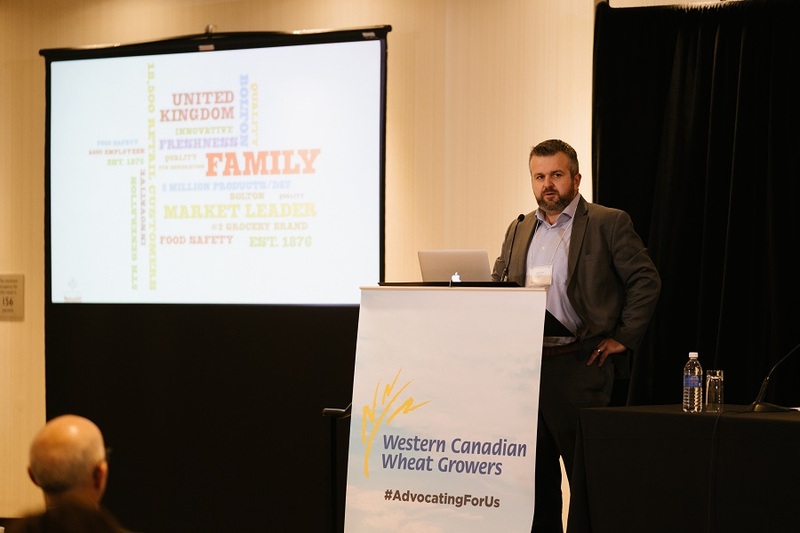 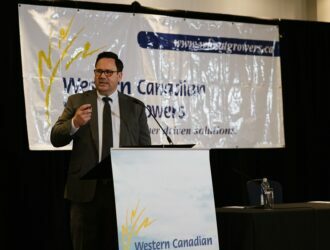 Transportation – Jarad Farmer, Managing Director, Sales at Canadian Pacific Railway, discusses what the movement of grain by rail looks like in the future. 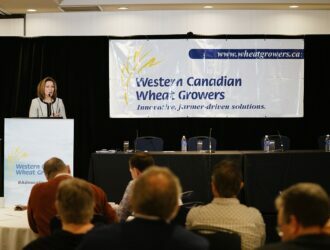 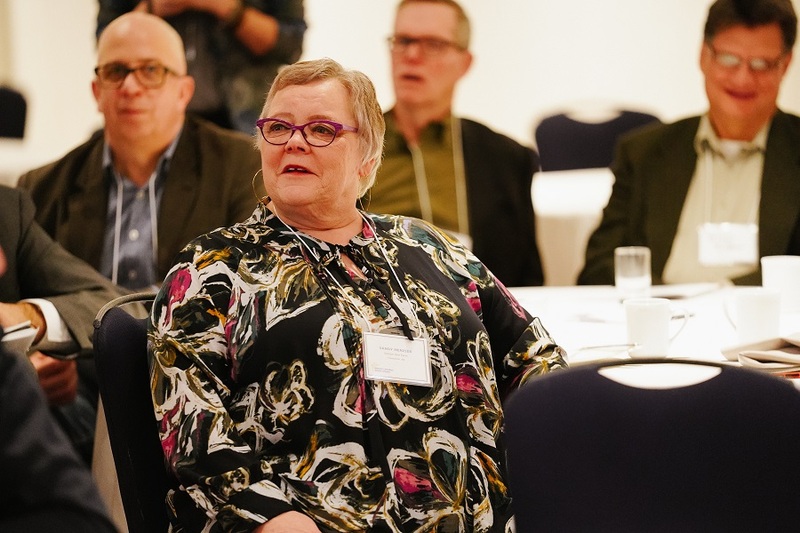 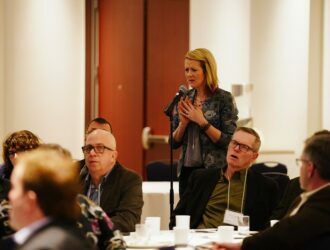 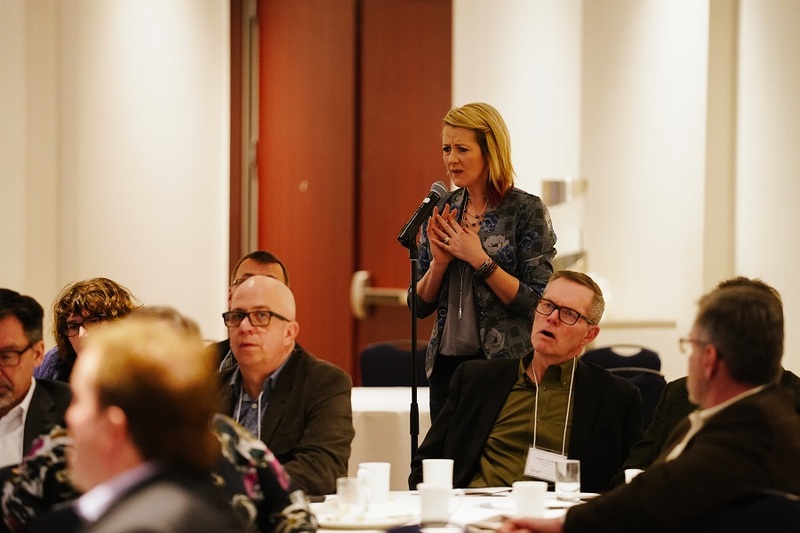 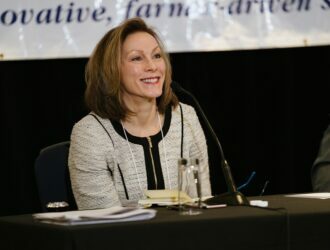 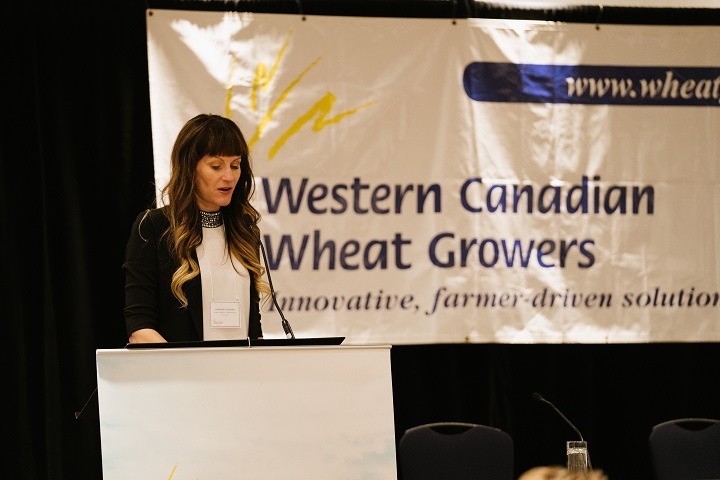 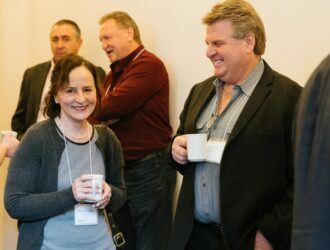 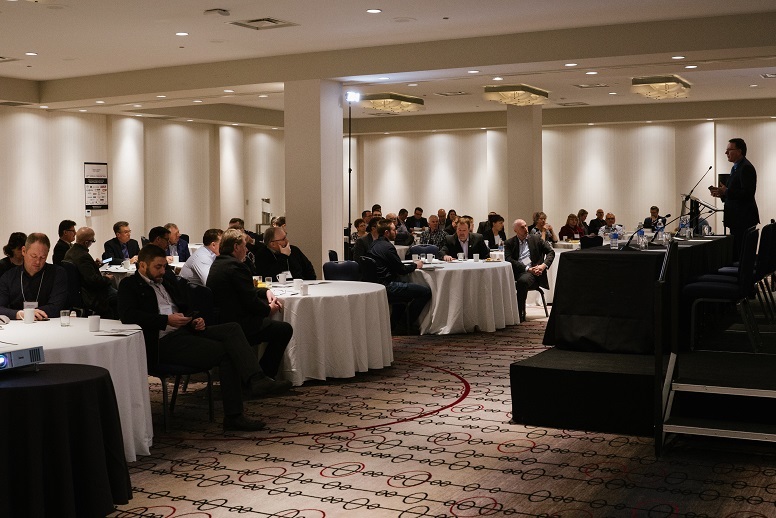 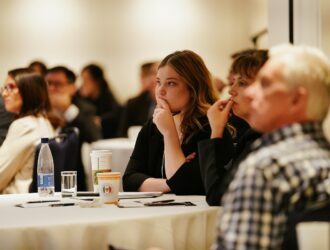 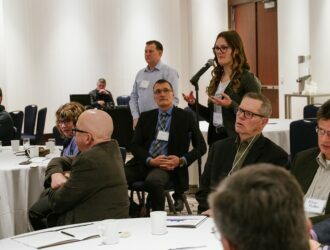 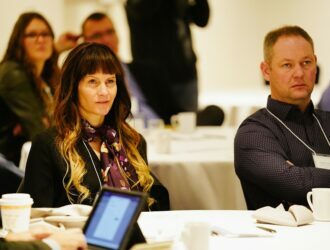 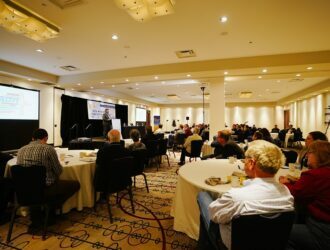 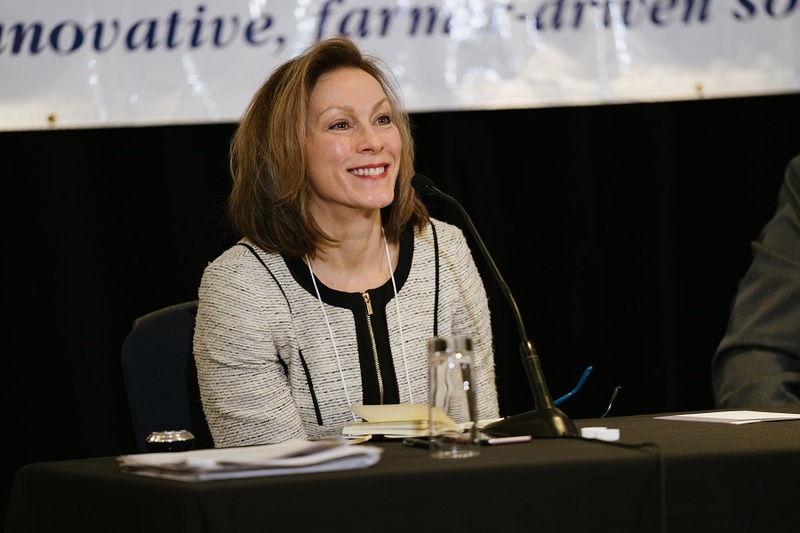 Transportation – Katherine Bamford, Director – Trade Development of the Vancouver Port Authority, brings an update on infrastructure improvements completed and planned in order to move grain through the Port more effectively.